Hopelessly Devoted Bibliophile: All Souls Trilogy - Paperback Launch and Giveaway! 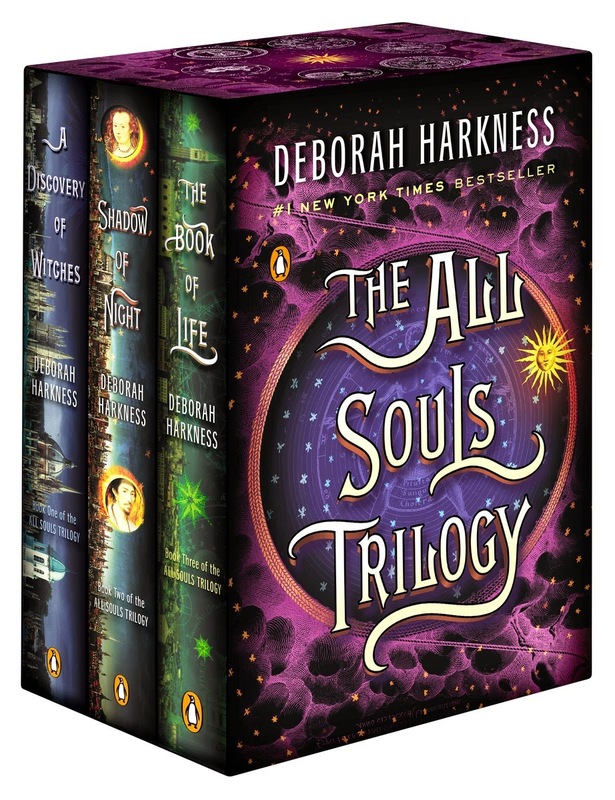 All Souls Trilogy - Paperback Launch and Giveaway! It's time for another awesome book spotlight and giveaway! This one I'm particularly excited about, because I actually just recently started the All Souls Trilogy on audio. As a newbie to the books, I can tell you that they're stellar! Amazing story-telling, the perfect amount of romance, and enough juicy historical details to sink your teeth into. 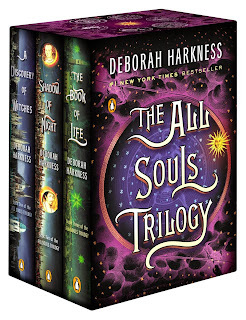 As it turns out, the final book in the All Souls Trilogy, The Book of Life, is releasing in paperback on May 29, 2015. Which means you'll be able to get your hands on this gorgeous paperback set. Pre-Order at Amazon and B&N! 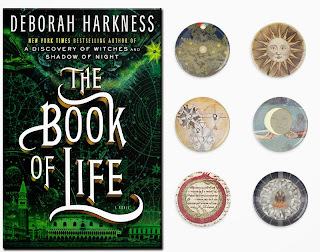 In honor of this release, please enjoy this Q&A excerpt with Deborah Harkness, and then scroll to the bottom for your chance to win a paperback copy of The Book of Life and some fun swag! Up for grabs is one paperback copy of The Book of Life, and a set of All Souls Trilogy themed buttons! Enter via rafflecopter below. Giveaway ends 5/29/15 at 8:00 pm PST.